Già all’attivo con un’album, molti singoli e remixes per etichette blasonate come Rekids, Clone, Deep Freeze, Radius e Rebirth, Ajello esce con la sua prima raccolta di remixes. Diciannove tracce di remix fatti e ricevuti, esclusivi o già usciti solo in vinile, dai produttori più hot del panorama: Reverso 68, Maximilian Skiba, Tensnake, In Flagranti, Luke Solomon…. Ajello “Digital Spasm -An In & Out Remix Collection” (Youngodds): idolatrato da alcuni, demonizzato da altri, al file mp3 spettano anche dei pregi, come quello di poter dare spazio a musica che oggi, in vinile, non avrebbe certamente vita facile. E’ il caso della remix collection degli Ajello, nata rimaterializzando gran parte del contenuto di “Spasm Odyssey” pubblicato a fine 2006. Il percorso è fitto di sorprese, di cui alcune già apprezzate nei mesi trascorsi, ma è un bene riassumere tutto con ordine e completezza in un mosaico concepito per farci capire quanto la musica degli Ajello sia sganciata dai soliti clichè a cui l’Italia fa troppo spesso riferimento. Ed ecco scorrere la parata dei remixes e re-edit, tutti d’autore: da Nick Chacona a Lil’ Wolf, da Luke Solomon a Fabrizio Mammarella, da Reverso 68 a Tensnake passando per In Flagranti e il virtuoso Maximilian Skiba, uno dei nomi che a mio avviso andrebbero valorizzati in un mercato che sta diventando schiavo dei numeri. Gli Ajello, per fortuna, non hanno intenzione di lasciarsi incatenare in alcuna regola. Correggio Mon Amour libro del mese su Rumore! New AJELLO Remix out NOW on vinyl! New AJELLO Remix out on vinyl!! Already broadcasted on BBC1!!!! Edison is Andy Chatterley, also one half of The Buick Project, Skylark, The Droyds, and co-owner of Saved Records. The Edison project was born early in 2006 when he was asked by Blondie to do a new version of Heart Of Glass and it was an immediate club smash ! Dynamite lives up to this new direction, a basic electrohouse rhythm with filthy bass-line and some very nasty noises, after which the sequence rattles on a big breakdown and his distinctive vocals come in. An experimental and original track. On the remix duties are Ajello, back on Rebirth after their lucky Moody Bang Ep. Their mix is another take on the cosmic disco italo sound, and is a winner ! Already broadcasted on BBC1 by Kissy Sell Out, and heavily supported by Pete Herbert, Kraak and Smaak, Jody Wisternoff, Tronic Youth, In Flagranti…the Nightmoves remix is a long, hypnotic, druggy basement banger with disco and techno influences with live drums, cowbells and analog synths. AJELLO ‘Moody Bang’ and ‘Dolphy’ remixes out on vinyl! AJELLO Moody Bang out on vinyl!! 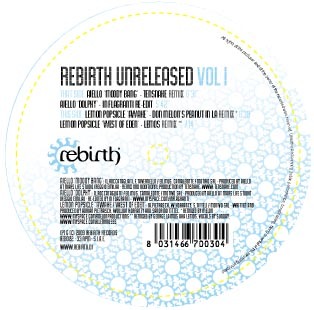 First of two volumes of unreleased tracks from late Rebirth catalog is out! 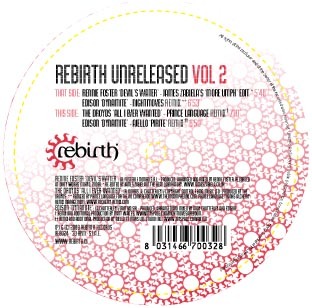 On it two in demand remixes on Moody Bang EP out only on digital last November 2008. With “Moody Bang” and “Dolphy” Ajello is again on a mission to provide a modern twist on the italo disco with a very spacey futuristic vibe: Melodic, chuggy, dreamy and…an incredible, sweet and seductive vibe ! Both tracks have been re-edited and remixed….Dolphy by Ajello’s friends In Flagranti! Remixes come courtesy of one great up and coming producers from Germany: Tensnake from Hamburg delivers an Italo-disco tinged nu-disco remix crossed with deep house affair and solid synth-driven disco-boogie ! AJELLO & Fred Ventura New single on Clone!! 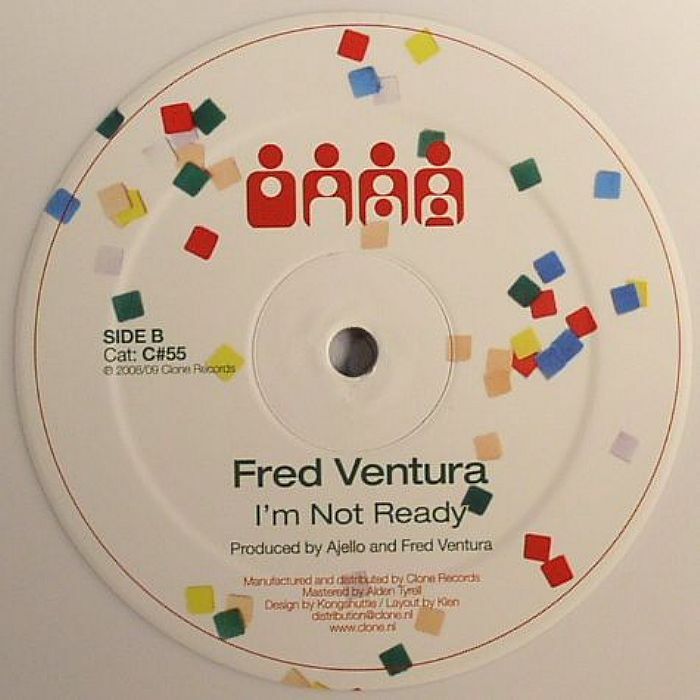 Album sampler of the Fred Ventura classic cuts album release. Two special tracks that have never been released before. A side is a sublime edit version by Fabric resident dj Craig Richard of the I-f track (ft Fred Ventura) I Cut My Heart Out. Craig made the track more suitable for modern club use, and he has been playing this edit version since months. He received so many reactions on the track of people who went total nuts (and some even cried when he played the intense and emotional song!). We thought this is the right moment to make it available for everyone. On the b-side we have a slamming italo disco monster which Fred produced together with Ajello. Super phat basslines (slightly reminding us of classic Bobby Orlando tracks) and typical italo disco synths. Two completly different tracks both featuring the emotional vocals of Fred Ventura. Timeless piece of dance music! mercoledì 4/3/2009: CORREGGIO MON AMOUR! Con l’uscita del libro “Correggio Mon Amour”, arrivano al Fuori Orario i musicisti più amati di Correggio! !